This year, Anchor was honored by several associations recognizing both our past and present. From our historic home to our fresh new brews, we’re feeling very humbled by the amount of love still being shown to us at the ripe age of 122. Here are a few of our favorite highlights. Every year, at its Art Deco Preservation Ball, the Art Deco Society of California presents the Art Deco Preservation Awards. The awards foster recognition of notable architectural examples and acknowledge the efforts of individuals in preserving the culture and artifacts of the period. 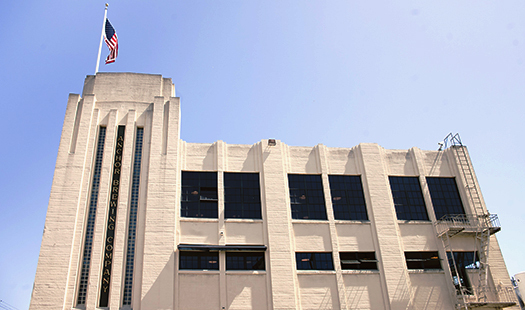 Anchor Brewing Company received the Art Deco Society’s 2018 Art Deco Preservation Award for its beautiful brewery, which was built in 1937 as a coffee roastery. In July, Brewery Historian Dave Burkhart accepted the prestigious Dr. Albert Shumante Memorial Award on behalf of Anchor Brewing Company. The award is presented each year to a person, group of people, or organization for doing something remarkable to spark the preservation or remembrance of the city’s history. In September, our San Franpsycho IPA took home the gold for Best Label Design and bronze in the category of Taste at this year’s World Beer Awards. 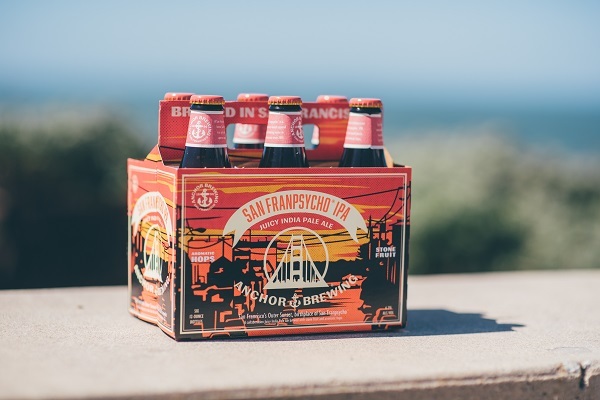 Designed with our collaborators at San Franpsycho, the vibrant label depicts the view of an ocean sunset from Noriega Street in the Inner Sunset, where San Franpsycho got their start.